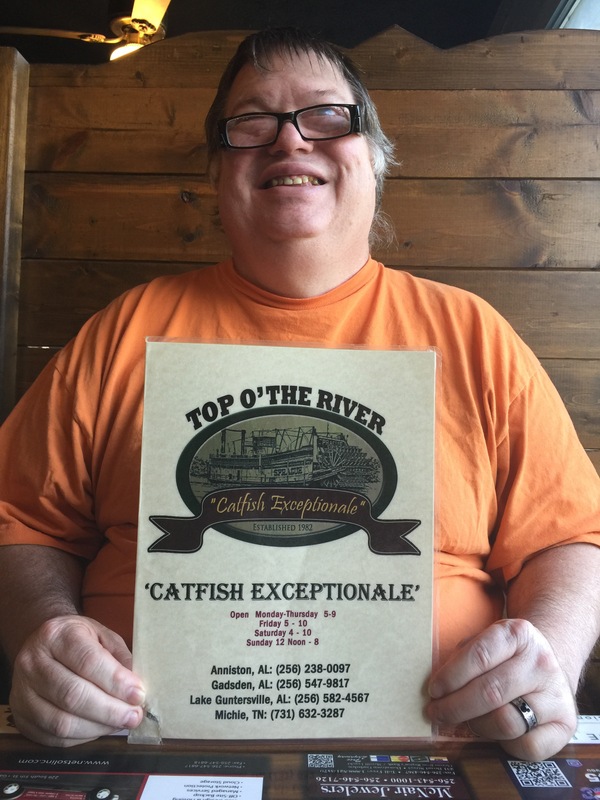 Today, we are going to step back and reminisce over a great meal with some great friends, Bill and Jean from Canadian Cats. If you remember, they visited us here at the Hotel Thompson earlier this year in February. Well I came across some pictures that were taken that mom/dad forgot to share. After you see this pictures, you will understand why mom/dad didn’t share them with me. In fact, I’m going to let mom take it from here so I don’t have to discuss this. I’m sure you will understand. Take it away mommy! “Thanks Bacon. For obvious reasons friends, you will understand why Bacon didn’t want to be any part of today’s Travels in the South. I do have to say that owning a shall we call P.I.G. it does make it difficult to partake in some foods here at the Hotel Thompson. For those obvious reasons, when the need kicks in to eat pork we go out. 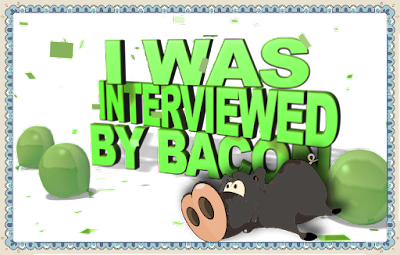 And yes, we have had conversations with Bacon that he is definitely not that kind of pig – thank goodness. 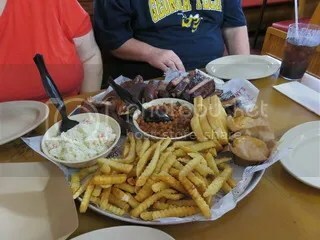 When Bill an d Jean visited, there is a really good barbeque restaurant near us that the hub unit likes to visit from time to time. I mean come on, you know sometimes you get the *need* for delicious food. We took Jean and Bill to this restaurant. The first course was an appetizer of “Redneck Egg Rolls”. Okay we are in the south and it was appropriate, right? They take egg roll sheets, fill them with smoked pulled pork, homemade cole slaw and jack cheese. Then they deep fry them until they are golden brown. 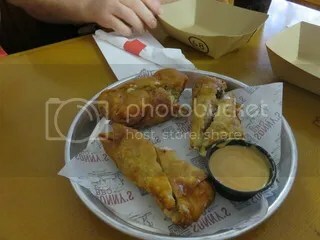 They serve them with a smokey ranch dipping sauce. Can you say yum? These are good, crispy and really you will want more. The hub unit just can’t get enough. Then no one could really decide what to get so we ordered the feast for four. It came with the works – slice pork, ribs, chicken and brisket. 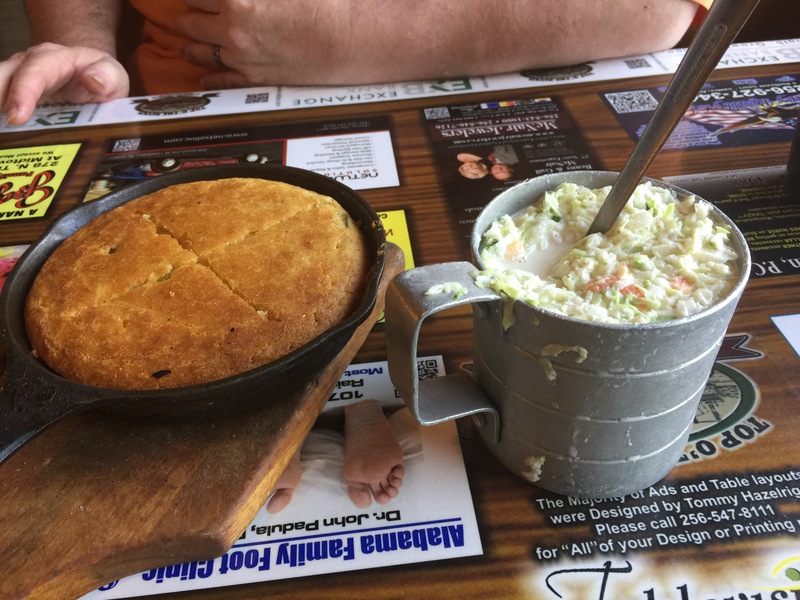 Then don’t forget all of the sides – french fries, cole slaw, baked beans and garlic toast. No way was the plate emptied by the time everything was done. 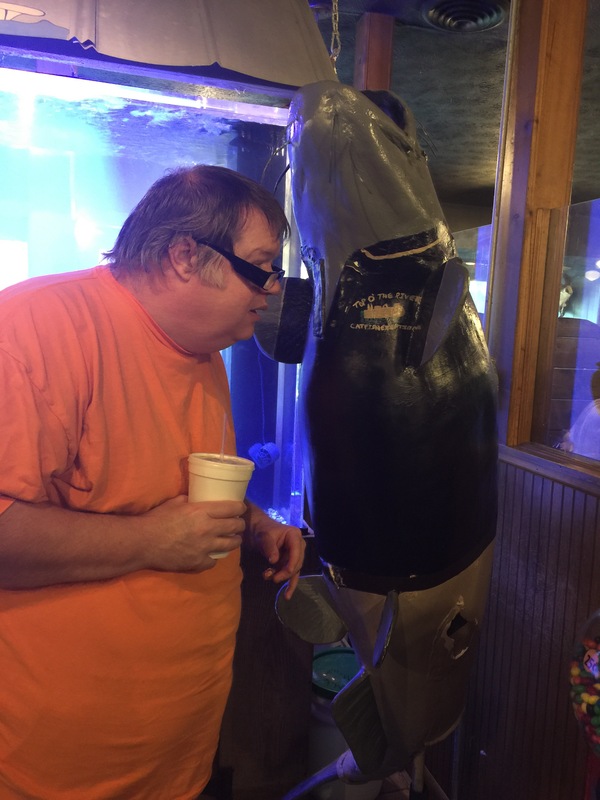 But I will tell you this – we walked away with full bellies and not just from the food. We laughed. 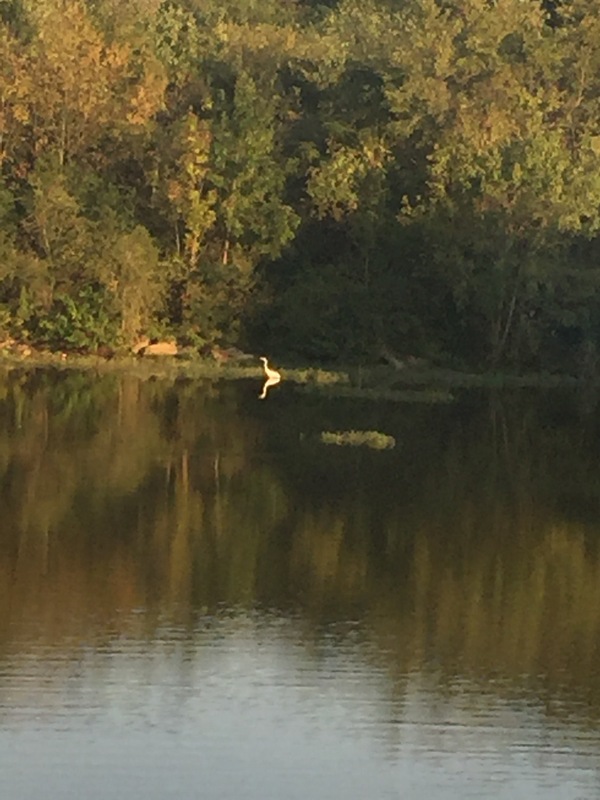 We talked. We spoke of the past. We spoke of the future. Sometimes there was even silence. Not bad silence. The kind of silence you get with great friends when everyone is happy and feeling so loved. Hello friends. I hope that you have been enjoying our Travels in the South edition. Today, we continue our adventures with Fozziemom and Fozziedad who visited all the way from Australia. 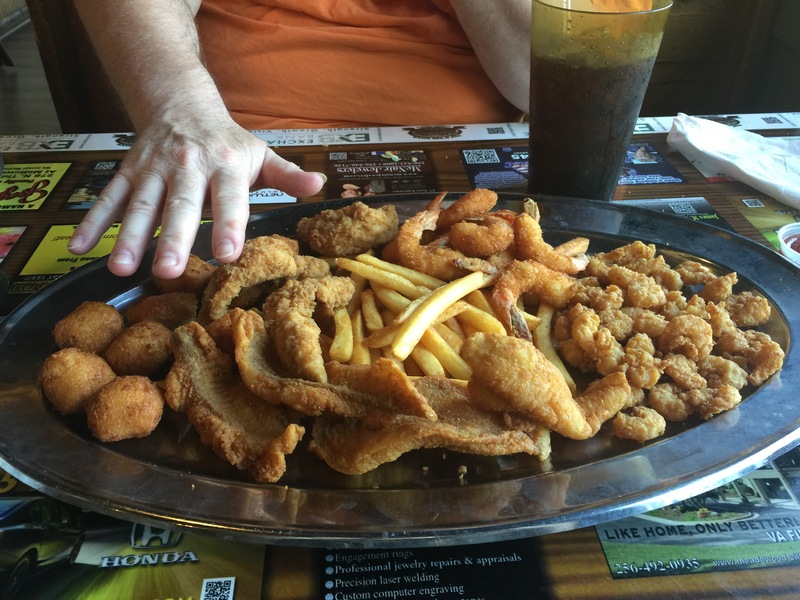 Today, I want to focus on a restaurant that everyone went to on their way back home from Tybee Island. Also this is a restaurant that Jean and Bill visited while they were visiting as well. 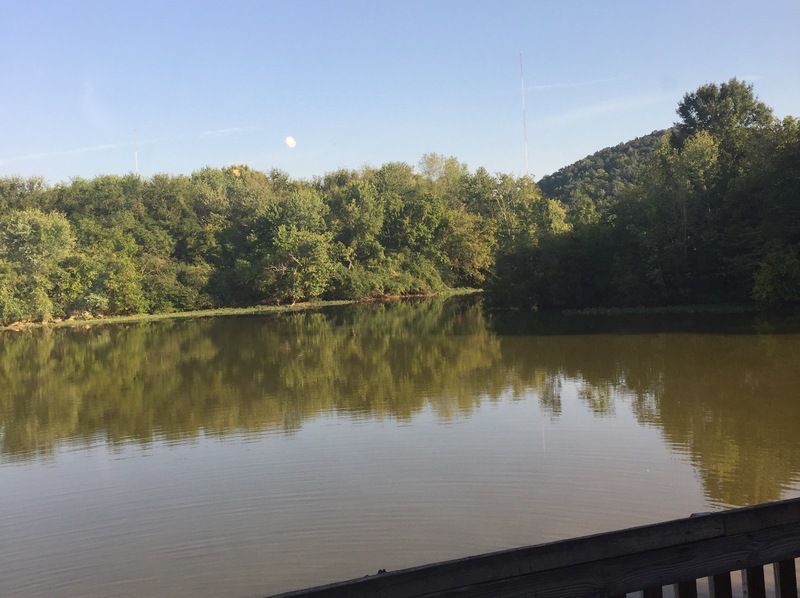 It’s a place that my mom has been going to since she she was small child. She actually introduced my dad to it and it’s a great feel at home kind of place. 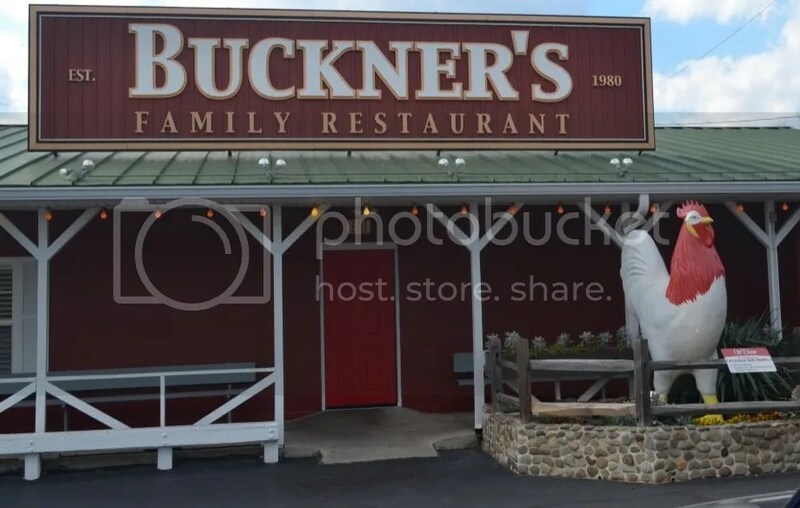 This restaurant is called Buckner’s Family Restaurant and has wonderful vegetables (for our vegetarians) and the best fried chicken you will ever wrap your lips around – just sayin’ so says mom – snorts. 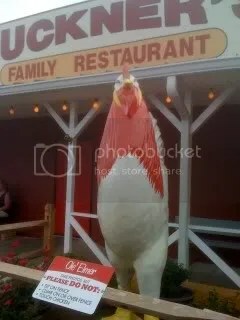 Which brings me to the chicken in the picture – his name is Elmer and he’s a pretty cool dude. His tall – really tall and his sign says do not touch… Personally I think too many people in the past have wanted to get up close and personal to him to have their pictures taken if you know what I mean. Now you see the cool thing about this place is all of the tables are round. Okay I can see you going okay and what’s a big deal about that. Well you see in the middle of the round table, they have the biggest movable section – a giant lazy Susan if you will. 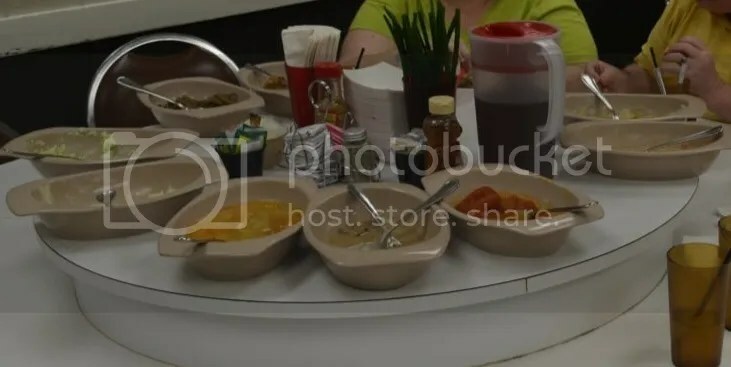 The workers will come to your table with all of these bowls containing wonderful delights – creamed corn, green beans, beats, cole slaw , lima beans, rolls, chicken, barbeque pork, peach cobbler – just to name a few. And as you eat and things run out, you just ask for refills and the servers gladly fill everything back up. So you have a buffet without having to get up and down all of the time. You sit and the staff bring YOU the food. Cool huh? Now you have to remember that everyone stopped here on the way home from Tybee Island. They were tired, exhausted if you will, and at the point of just being silly. The moms didn’t even have make up on. So, I’m tell you that in preparation for this final picture. A picture to show you (A) how tired they looked and (B) how silly they were being trying to get a picture with Elmer. 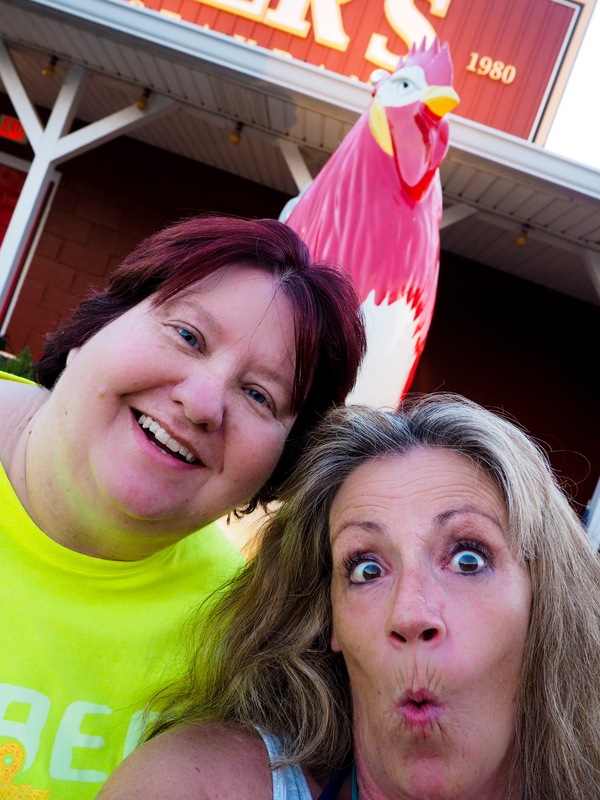 So here you go my friends – the moms in their bare necessities.